Commissioned by Linda for her birthday. A pendant based on flowers to be worn everyday. 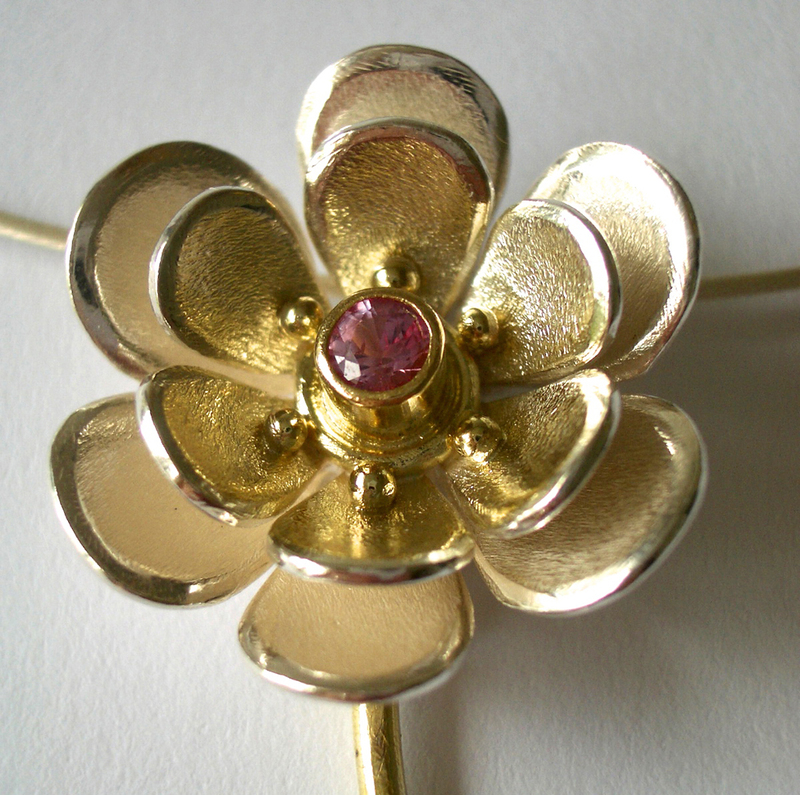 This pendant, made as a gift for my mother, represents what became a prototype for one of my flower-based designs and later part of my production range ‘Flower’.